Bring the excitement of wrestling to your holiday décor! 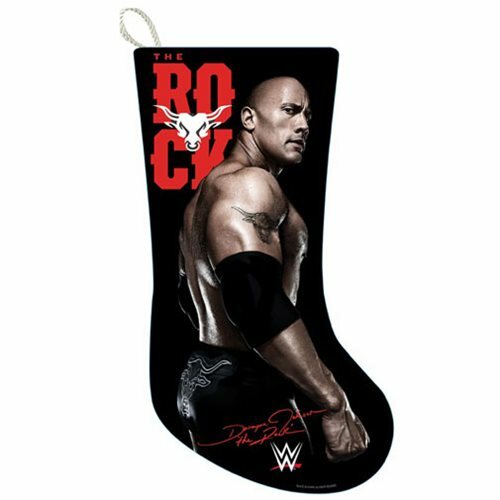 This stocking features The Rock in a classic pose on a black background with the WWE logo and signature. The WWE The Rock 19-Inch Stocking is made of polyesters and measures approximately 19-inches tall.